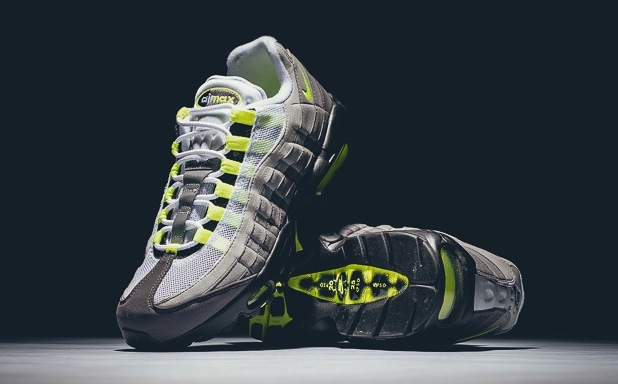 After much anticipation the Nike Air Max 95 has finally made a come back! 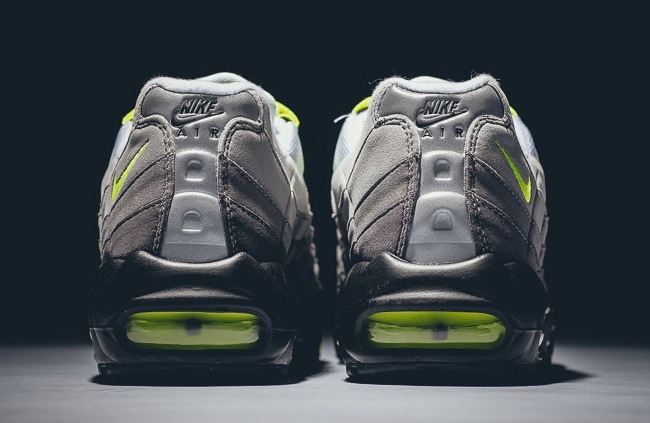 Nike brought back the “Neon” 95 to celebrate its 20th birthday. My apologies for the delay in the review; It’s been maddeningly hectic around here but I won’t bore you with the detail. On a more exciting note, my shoes have arrived and I have not stopped drooling over them since. I faced my first dilemma as I waited for the release on Nike’s website: Which color way to purchase? The release came in two color ways; one being the Black/Anthracite/Cool Grey/Volt; the second being White/Emerald Green/Wolf Grey/Court Purple. Recently, I have discovered my profound love for the color green-any shade, especially neon or lime green. So naturally, I was inclined towards the first color way. When the shoes first arrived I was pleased with the iconic neon color scheme, yet I was worried they wouldn’t go with anything I had. Thankfully, I was proven wrong. There are many features I appreciate about the shoes, including the reflective patches on the tongue and back of the shoe. The classic suede upper panels compliment the white mesh and neon lacing loops perfectly. The shoe has a combination of leather, mesh, suede and it all works really well together. Not to forget the Nike swoosh placement in neon green and the branded embroidery on the tongue, which looks epic. They fit perfectly and are super comfortable, making me a very satisfied customer. In fact, I just might even have to get them in the other color way.